With Black Friday and Cyber Monday (and the weeklong sales thereafter) drawing to a close, many have already gotten their holiday shopping out tof the way for another season. But, December is right around the corner, meaning a month of long lineups at nearly every store where it’s possible to get gifts. Naturally, many people prefer to spend that time inside, buying gifts online and having them delivered right to their door. This option is more convinent, but there are a few things that should always be kept in mind while shopping online. First and foremost, it’s important to make sure that you use reliable sites (Amazon, Best Buy) while shopping online. Admittedly, smaller websites aren’t usually out to steal your infromation. But, these websites usually have lower levels of web security, making it easier for hackers to get information off of the website. If you are concerned about being sure to support smaller business, or if you want a wider range of products, keep this in mind. Sites like Amazon and eBay sell products from third party sources. Using bigger sites lowers the likelyhood that your passwords or credit card information wil be exposed. Furthermore, they have a lower ris of viruses. This part might seem like it goes without saying. after all, the entire point of shopping online is that you don’t have to leave your house. However, using public Wifi while shopping has risks to it. Open Wifi sources don’t have the same security measures that are common to the private versions that you have in your home. As such, it makes it a lot easier for hackers to “bug” your devices and get records of the information that you type in (including your passwords and credit card information). Shopping from home gives you an extra level of assurence that the network is secure and that your information is being kept safe and that you only buy gifts for the people you know. This is probably the most important thing to do, especially at this time of year. No matter how careful you are, your information can still get leaked. Even major companies have security breaches. You could accidently click on something or, while you’re out, there are hundreds of other ways for someone to get your credit card information. 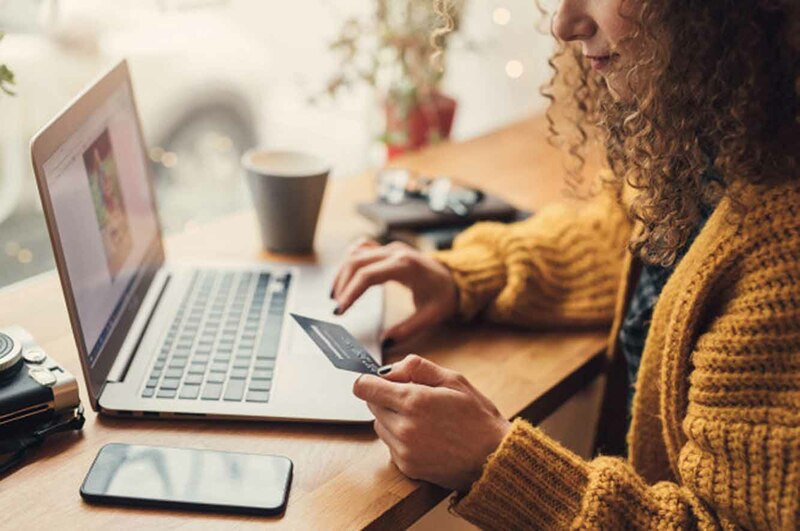 You can check your banking information fairly easily and, if you notice any reciepts for purchases that you didn’t make, let your bank know immediately. This will lett them change your account numbers in a timely manner and make it easier for them to deny the payments. Your money is important. Keep it safe.